Update your nightwear collection with this sophisticated pyjama set from the Deluxe Collection by Pastunette. 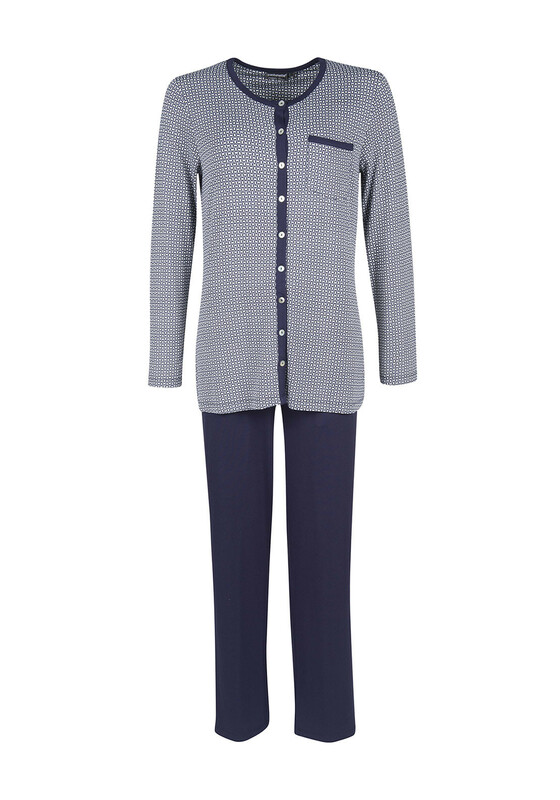 The long sleeve pyjama top is made from soft and comfortable jersey fabric with an oval print thoughout. Fastens with a full button placket. The plain navy pyjama bottoms feature a matching print elasticated waistband.